Autograph book. 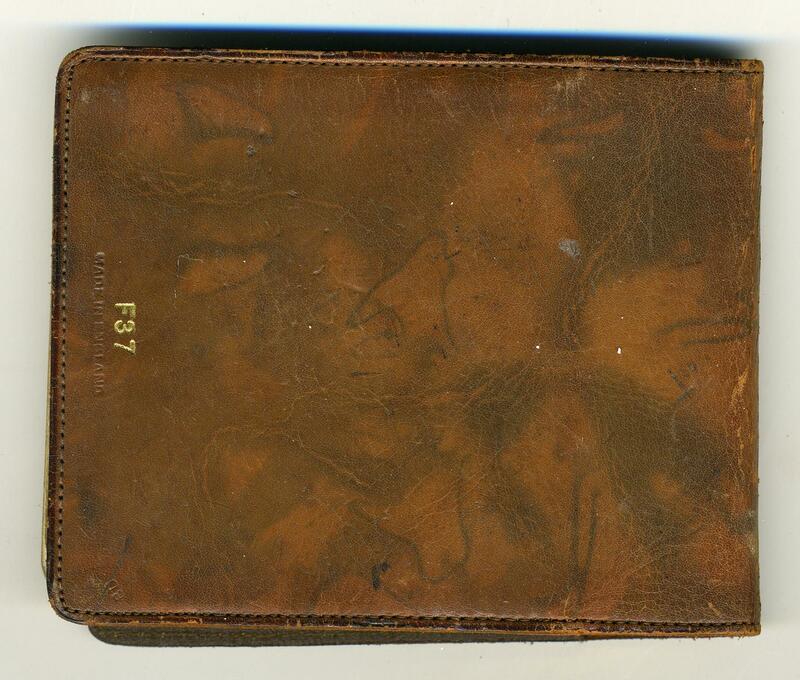 Leather cover with printed illustation of hand at desk writing on page with quill pen. Stamped 'R.M.S. Homeric' on cover. Contains autographs from crew members on S.S. Adriatic cruise, 1934, and various autographs dated up to 1944, including verse starting 'War with Germany'.